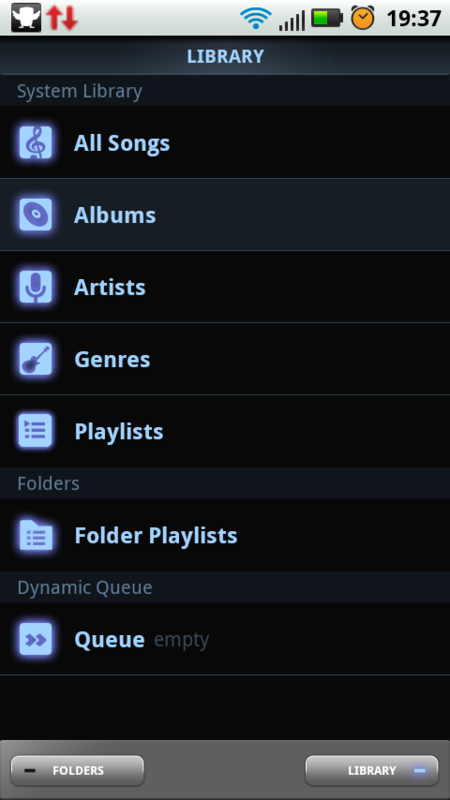 PowerAMP Music Player (PowerAMP Full Version Unlocker) – THE ultimate Android music player! Music is so much more than a mere sequence of notes or a form of expression. Music is lifestyle, in fact - dare I say it - music is life! If you want to experience music the way it should be experienced you will need a good player. As always, read on to discover if PowerAMP Full Version Unlocker is a worthy contender to score a spot on your Android. PowerAMP Full Version Unlocker is a music player that claims to be able to play mp3m mp4, ogg, wma, flac, wav, ape, wv and tta formats. Whew! We were able to test wma, mp3 and mp4 for the purpose of this review, and the app did very well with those three formats. File display: Displays the music files you have selected, including the album cover and the file’s name--provided that you have organised the files into albums. Album covers won’t be displayed if you haven’t. You can also choose if subfolders should be displayed (it goes without saying that this only applies if you tend to sort music files into subfolders). General display: Displays standard files that have been created by the Android media scanner. 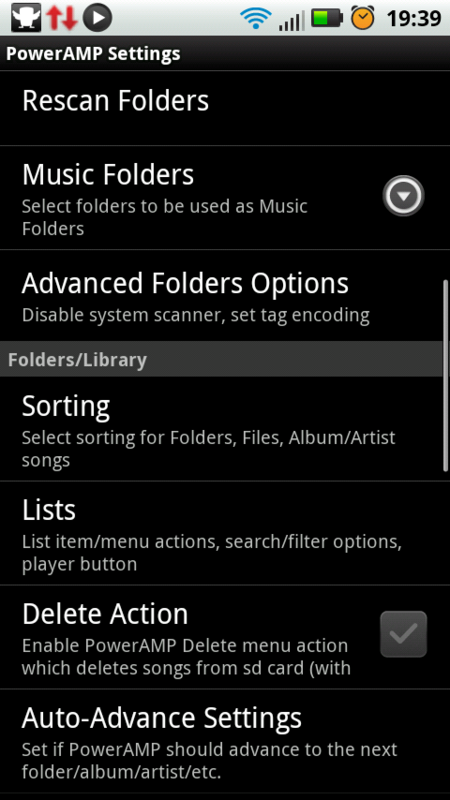 Your usic can be displayed alphabetically, according to album, artist or genre. It can also be sorted according to playlists you’ve created.There’s also an option to add music files to ‘Queues’ so that tracks are played consequtively--this is basically just a playlist minus a titel. You can also look up more information about the files, edit tags or search for tracks on Google. The player opens as soon as a file begins to play. Here you will find albums covers as well as all the buttons one might expect: play/stop and skip/go back. All this can also be navigated using the good old (and hence intuitive) gestures. The UI’s coolest part is located below all this: the ‘Equalizer’, i.e. the equalizer’s settings. Click on it once to open up the controls section. There are graphs representing the settings int eh middle of the screen, and the frequences and their volumes can be adjusted at the top. You can also adjust the general volume here. The quality is quite good -- up to a certain point, but it doesn’t make sense to expect much more from a smartphone than this point. Users who don’t enjoy fooling around with settings options too much can awayls fall back to the ‘Presets’ which should do quite nicely. These presets can also be adjusted. ‘Tones’ can also be adjusted: bass and treble sounds as well as system volume for which there’s a sort of volume mixer. IMO these settings options can produce better quality sounds than the classic player. 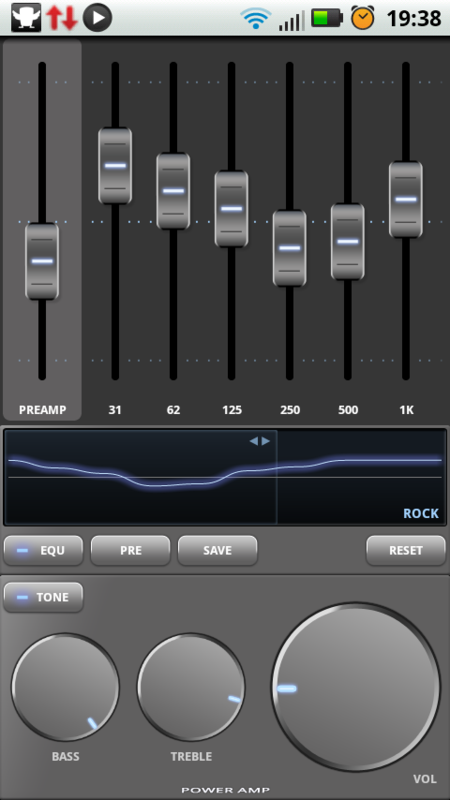 The ‘Tones’ section and equalizer can be activated or deactivated via a button. The ‘Sleep Timer’ is also a fun little feature. It allows you to sets times for when the music player should be deactivated. There’s also a lockscreen widget that places controls right on your lockscreen. Other widgets - that come in various sizes - can be placed in the homescreen in the usual way. PowerAMP has many other features, but it would too much to get into all of them. PowerAMP has become my music player of choice and I have an inkling that it’s going to stay that way for a while. I appreciate the scope of different functions, especially the equalizer and the easy controls. There are so many functions that I can’t think of any that might be amiss. The only thing some users might miss is a visual representation of sound and music, but it’s not a biggie. 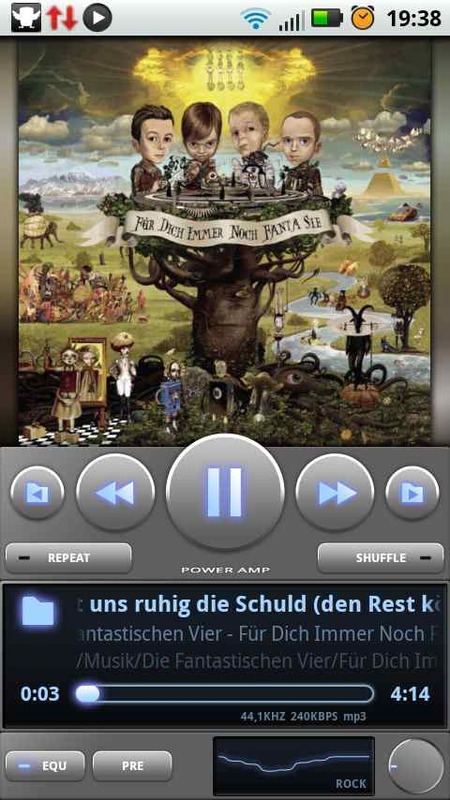 PowerAMP Full Version Unlocker’s controls are intuitive for the most part. Despite the quantity of functions this app has to offer, they are all located pretty much where you’d expect them to be. The only thing that rubbed me the wrong way (but not in a major way) is that when you’re in the player section and hit the back button you wind up in the last used app, rather than in PowerAMP’s general overview. I noticed another small mistake, but I can’t be sure this didn’t aris to my own incompatence as opposed to faulty programming: the keyboard keeps appearing when I hit the search button. The colour scheme can be adjusted, which is nioce as it you can thus create four different designs. The word that springs in mind to describe the app’s overall aesthetic is ‘spacey’... I’m not crazy about it, but others may very well be. 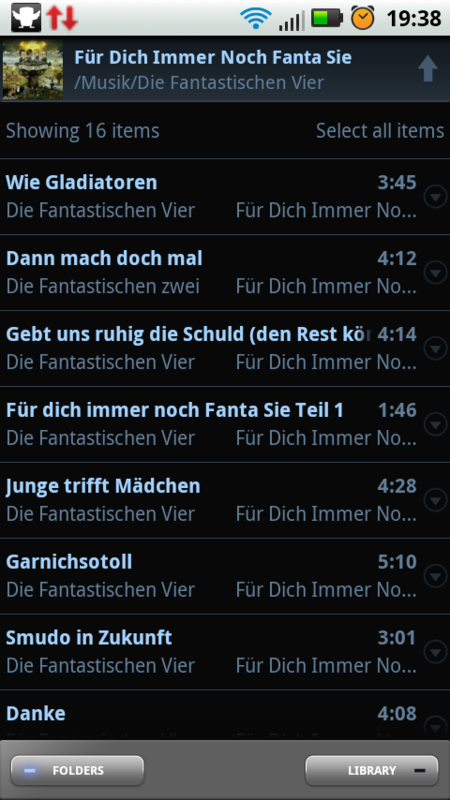 PowerAMP Full Version Unlocker performance is pretty impressive. The speed is excellent, the stability totally dependable and the app hasn’t crashed on me once so far. There’s a trial version of PowerAMP Full Version Unlocker that will deliver 30 days of full functions. If you wish to keep using the app after the trial period you will have to shell out 3.60€ (40.25 HK$ in the original currency). It looks very good, I'm going to test the test, I hope it's worth every penny. Couldn't agree more! Power amp is amazing!